Gary Taubes is a name probably familiar to you. If not, he’s a writer and author of Good Calories, Bad Calories (The Diet Delusion in the UK) and Why We Get Fat and What To Do About It. While we’re clearly not twins separated at birth, I have traditionally had a lot of time for what Gary has to say on the subject of obesity. In particular, I think it should be known that applying the ‘calorie principle’ for weight loss is a miserable failure, and that we can perhaps better understand how to tackle the ‘obesity epidemic’ but appreciating more the role that hormones (including insulin) have in fat storage. 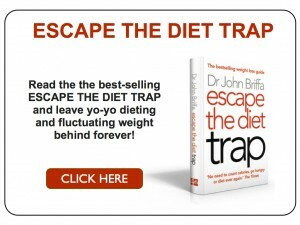 I explore these themes in my book Escape the Diet Trap, as well as offering some practical and evidence-based strategies for sustainable weight loss. This morning, someone sent me a link to Gary’s latest article, and I’m passing it on to you here. In just two and a half thousand words Gary neatly, I think, reminds us of the fact that, repeatedly, eating less and exercising more has failed to have the desired effect, and the need for the scientific and medical community to embrace new concepts and new strategies. I suspect Gary is on a bit of a mission to influence these communities and persuade them of his ideas. If this is the case, I wish him well on his quest. I don’t want to be negative, but I’ve found changing doctors’ and scientists’ beliefs (actually, opinions) can be a bit of an uphill struggle, even when there’s plenty of evidence to support the alternative view. This is not always the case, but it is how things generally are. I’ll happily discuss health issues and how we may best deal with them with anyone genuinely interested in this, including doctors, scientists and politicians. However, I am also mindful of the fact that some intransigence here might be the result of things that have less to do with true objections, but more to do with things like professional pride, conflicts of interest and ‘group-think’. Again, this is not universally true, but bias is more common that is healthy, I think. I am not depressed about this, because I don’t think that persuading doctors and Governments of the merits of a particular way of eating is where the power is anyway. For me, the real power is in allowing individuals access to better information and advice. Then, if they wish they can ‘vote with their feet’ in terms of what they eat and how they lead their lives. And there’s nothing that any doctor or politician can do about that. I think that there’s a false dichotomy here. Losing weight healthily is not 100% about calories but it’s not 0% about calories either. What people eat matters, but calories also matter. Eating less & moving more is essential for weight loss & increased fitness but for many people, it has to occur subconsciously. Low-carb diets help to achieve this by stabilising blood glucose & insulin levels, which reduces or eliminates post-meal energy slumps followed by an attack of the munchies. I don’t have the patience to wade through 2,500 words. Is Taubes still saying that, absent carbs, you can exercise as much gluttony as you like on protein & fat? LOL I like your last paragraph. I disagree and assert the pessimistic view. The push to get the scientific and medical community to perceive a need to embrace new concepts and new strategies WILL FAIL because eating less and exercising more HAS & IS producing the desired effect, which is to keep people trapped in the cage that they have intentionally designed to keep people running frantically on the treadmill until they die from some disease due to the crap they’ve been feeding us for the last 90 years so that, in addition to the money they made from selling us all the drugs they used to manage our symptoms but not cure the underlying disease, they can profit further from studying our dead bodies, harvesting our organs, genes & stem cells, and anything else of value that’s left. WHEW! That’s a bit of a run on sentence so I’ll say it again a little more succinctly: Eating less and exercising more HAS & IS producing the desired effect which is the maintenance of their profits, power & control. Anyone that can’t see that should go to a proctological ophthalmologist and get examined to find out why they can’t see things correctly. There’s nothing that any doctor or politician can do about that?? Is you CrAzY?? Have you never read a history book? Are you not seeing what’s happening with the jack booted thugs raiding farms for raw milk and non native animal species? Those are our fellow citizens by the way, so far! Their option at that (this?) point is to bring in foreign law enforcement mercenaries when the Domestic shock troops wake up & refuse to engage in illegal & unconstitutional prosecution of their fellow citizens, and then even more overtly use food as a weapon against us than they have been by making it illegal to grow, eat or possess anything that will keep us healthy & powerful & free from their control & by making it illegal to opt out of their game & not eat or possess the food, drugs & anything that maintains their system of control. I mean no disrespect to religious people, but it’s been said that religion follows science. The dietary beliefs of most doctors and nutritionists is based more on appeals to authority than evidence. People who are determined to keep or regain their health will go with what works, and now that the gatekeepers have been overrun, they can find out why their previous diets haven’t worked. Eventually, the authorities will have to acknowledge this or risk being grouped with the flat-earthers. I can’t see the link to Gary’s article? Am I looking in the right place? Just wanted to say that I think it is really important to persuade doctors and Governments to change the dietary advice they are giving out as many, many people will not believe or trust the low carb high fat message while they are still being constantly told to eat a low fat, grain based diet by the authorities. I remember watching a documentary about obesity and feeling very sad for this extremely overweight American teenager. She really wanted to lose weight but was struggling so hard to cope with and stick to a diet that was based around such food items as skimmed milk and bananas. She felt like she was a failure because she couldn’t manage to stick to the diet and was not losing any weight. I would like to see all the LCHF advocates join forces and become a pressure group for real change. There’s more to obesity than diet, or at least diet in terms of its composition. Sumo wrestlers gain enormous amounts of weight by a. skipping breakfast, b. having two gigantic meals a day (mostly meat and vegetables and beer!) and c. sleeping immediately after eating. Moderate eating of ‘real’ food (i.e. mostly unprocessed natural foods), weighted towards the earlier part of the day, with only a light evening meal taken at least 3 hours before sleep … plus no snacking and reasonable exercise will keep most people at an acceptable weight. I too have found it difficult to shift professional medical views – as you say, something resembling pride (I’d call it arrogance) appears to be at work. I fail because I have no formal medical qualifications, so although doctors find me difficult to argue with, particularly when I provide article references from Lancet and NEJM, it’s easy to dismiss me afterwards as an ignorant lay person. I’m not sure why they dismiss people like you, but presumably there are other prejudices at work – perhaps you are “too young” or “pandering through the media” and therefore cannot possibly have a legitimate point of view. I therefore agree that convincing the public is more likely to have impact – and I’d have said Dr Taubes’ article is written in a populist way, and so is trying to accomplish the same thing. Good luck to both of you! If you could get parenting organisations to join you, I suspect that would have more impact than any other campaign strategy. My mother, growing up in the 50s and a parent in the 60s, drummed into me the importance of starch at every meal, and even with my reading I find it hard to ignore the beliefs she taught me. I’m trying to teach my own children otherwise, but I would imagine many parents today still stick to these views and are teaching their children that low fat carbohydrates like boiled, peeled potatoes are an important part of a healthy meal. The more quickly you can change the parents’ teachings, the sooner this epidemic will die down. I have long thought that there is more to losing weight than the simple formula of less in, more exercise = weight loss. Been there, done that, lots of times without any lasting result. Even following your theory of removing carbohydrate hasn’t achieved it! I wish the TV programmers who constantly parade clinically obese people and slim them down with diet, would tackle why those who do eat/diet sensibly fail to lose weight. Lets face it, their problem is more one of gluttony and poor food choices, they are bound to lose weight initially if they greatly reduce their intake. I have been 3st (and more) overweight for 30 years, I don’t eat junk, I seldom eat processed food, I have abandoned carbs on your advice, result – 4lbs off in 3 months. There has to be a reason why people like me are not successful. Maybe it’s more to do with how much an individual’s body needs to take in to stay healthy and remain slim, maybe each person is different. The only time I managed weight loss was when I ate only 2 small meals a day and exercised hugely. It didn’t stay off of course. By far the biggest problem i have is finding the “convincers”, the “sound bites” or the pithy answers that can be used in any conversation i have regarding obesity. I’m not argumentative, nor was i on any debating team at school, so i`m not particularly adept in verbal sparring, but trying to convince overweight neighbour Doris who is so hypnotised and conditioned by National Policy, TV doctors or Woman’s Weekly is nigh on impossible. We can refer people off to the Web and say do the research, “arm yourself”, but that takes time and intelligence to make sense of. For example there is huge amount of conflicting theory and dogma within the Paleo group think; Paleo, Paleo 2.0, Archeovore, to potato or not to potato… to name just a few. Simply firing Doris off to trample through the knowledge chaos is just as counter productive, far easier for her to switch on The One Show and listen to Dr. Hilary or other celebrity bod to get her useless dose of conditioning. Indeed as a “little person” spouting heresy against the All Powerful NHS, All Knowing Government, or Insidious Food Companies, it is perhaps the biggest challenge to have as many brief and easy to understand counter-arguments as the aforementioned have soundbites and marketing muscle. Whilst there may well be huge repositories of information and evidence to rubbish the status quo, it is not in any way, shape or form, presented by anybody in a manner that is easily digested by those people that are most affected by it. That, in my opinion, is the biggest challenge. When i say “stop eating bread”, and Doris says “but i`m eating weetabix, low fat cottage cheese and wholewheat pasta just like i`ve been told”, rambling on to her with half-arsed, half-understood reasoning is never going to compete with “wholegrain is good for your heart” or “low fat reduces cholesterol”, particularly when trying to explain cholesterol to her, more often than not, ends up confusing me!! I wonder about the people who lost weight in POW camps and German death camps – We know they didn’t have enough to eat and got very thin. I eat an almost totally protein diet – but still can’t get rid of the fat on my stomach. The rest of me is not fat just my stomach. I have a waist; don’t have diabetes and have a high roughage intake – either home-made wholemeal bread or Ryvita. Not a lot of fruit and almost no sugar. So what am I doing wrong? Whilst, I fully agree with the approach to diet taken by yourself and Taubes, I am much less confortable with your approach to exercise. In your books, the papers you cite appear to be using very modest amounts of exercise (around 7.5 MET hours a week). OK, I accept that that is the minimum level advised by governments for health benefits. It is reasonable to suppose that there is a dose benefit relationship for exercise. One paper providing evidence for this is the metastudy published in the International Journal of Obesity 2007 – A dose-response relationship between aerobic exercise and visceral fat reduction – a systematic review of clinical trials, by K Ohkawara et al. This paper suggests a minimum of 10 METhr per week for effective visceral fat reduction. It shows a clear dose response relationship. 27 METhr per week will reduce visceral fat by 1% per week. 27 METhr is not too demanding (a 10000 steps of brisk walking a day should be around 35 METhr a week) – and of course you can get there much quicker with more vigourous forms of aerobic exercise. Note that this regime is tackling visceral fat – the very sort we need to be rid of for good health – and a better waist measurement. Now, the fact that exercise makes you hungry is mentioned – but he assumption seems to always be that is is going to be addressed by reaching for a candy bar. I am presuming if, instead, we more of the foods and snacks approved of in your system (those that do not raise insulin levels) – we can safely deal with the hunger without risk of obesity. A final point – from the dietary point of view, you embrace the “primal” approach – we should eat the foods we evolved to eat. Well, should we not also try to live a primal lifestyle for best health? There seems to be strong evidence that the human animal evolved to be an endurance runner (relying on persistence hunting to get meat). Looking at hunter gather tribes living today, all appear to walk / run long distances every day. @Audry, What you’re doing wrong is you’re still eating wheat & grains. Of course what you eat and how much exercise you do is important if you are overweight. I would just like to add that sometimes a big element in overeating is the fact that people can use food to sedate themselves and suppress bad feelings; the ones they just want stop feeling. This is not a real solution because the feelings are just “brushed under the carpet”, and get triggered again with regularity, and don’t get resolved. Therefore, I think it is sometimes an important element in weight loss for people to heal and become free of their uncomfortable feelings, which are often made stronger by links to the past with have not been resolved. Today I walked 7 and a half miles drank 5 pints of English real ale got a bus back and ate liver and onions. Exercise whatever the weather to feel good & to be healthy. Do not exercise to lose weight because you “work up an appetite”. Life is simple, don’t over complicate things. As you know John I have lobbied the minister for health through my MP and did have some success. The Select Committee have my views I am informed, may even ask yourself and Zoe Harcombe to meet with them to provide your experience. I took this step because there are lots of people who think I am batty and they are not willing to go against Conventional Wisdom (heavily emphasised as it is by government, health professionals and the carb manufacturers) even when the evidence is staring them in the face. Some may see that as patronising but I would prefer to see it as benefiting the individual and the nation and fight for it in the same way as someone fighting for equal rights might. Both my parents died of deceases related to high carbohydrate diets, it took me a long time to find the right track and I would like to reduce those consequences ifor others if I can. To Audrey – wholegrains convert to sugar, try replacing the breads/cereals/pasta etc with non starch vegetables. To all – I have listen to Gary Taubes via an American group of Nutritionists who have a regular radio show (since 2007). They have some fantastic information. Find then at http://www.weightandwellness.com and find the link Radio Show. To Julie de Brugh – I think it is true that many people use food to suppress feelings – I certainly fell into this category and my use of foods such as chocolate and sweets caused me to become carbohydrate intolerant. In Denmark they tax fat and the idea was certainly floated in the UK for a bit. I think we spread the low carb message by telling people about our own journeys. When you tell someone I was size 22 I’m now size 16 and sltill losing slowly, I have diabetes but my blood glucose is now normal, my cholesterol is excellent etc and then they ask what you eat…. WE are the ambassadors for low carb. @Audrey, maybe you have what Dr. William Davis calls a “wheat belly.” Also, a diet that’s almost totally protein isn’t good–you need *adequate* protein. If you’re limiting carbs, a large portion of your diet will be made up of fat. If you want fiber, non-starchy veg is better than bread. Yes, concentration camp victims ate starvation rations and ended up extremely thin. (The diet was about 50% carb, according to a book called “The Great Starvation Experiment.”) Below a certain low-calorie threshold, your body can’t keep weight on by lowering its metabolism: it has to cannibalize its own muscle and fat. Has anyone read Survival of the Fittest by Dr. Mike Stroud? It’s the record of his epic journey across the Arctic with Ranulph Fines. He took regular bloods and urine and his thoughts on the results with reference to their diet make interesting reading. I heartily agree with Dan, years of conditioning have produced a society that worries about fat, salt and meat intake and total calorie consumption. I still do this myself, pick up something to eat and immediately start thinking about the nutritional content in terms of calories etc. It’s difficult to discard, every diet going almost refers to these as the baddies. I don’t take any notice, I have embraced Dr. Briffa’s recommendations and I am just sad that yet again, no result worthy of note. I hardly eat any carbs and certainly not on a regular basis. I wonder what the answer is? I am now leaning to the theory that not eating lateish might be worth more investigation? So if I follow Gary’s opinion then I’ll look like Jimmy Moore? Jimmy follows Gary’s advice and its doing wonders for him. Anyhow I think Taubes is starting to get dated and I would much rather follow the advice of scientists/doctors. You see the big difference between Taubes and Joe Blow scientist is the peer review, which is a huge part of the scientific process. None of Taubes or any other diet gurus work goes through that process, so basically you are following someone’s unadulterated ideas. Not very smart if you ask me. Woodey, Gary Taubes does not “go through the process” of peer review because he does no research of his own. But if you have read his books you will know that he has literally hundreds of pages of lists of peer reviewed research for you to look into. And he is not getting dated. If anything he is ahead of the curve waiting for research to catch up. He is not a diet guru either. Where do you get that idea? He is simply showing where the research has been over the last 150 years – what it says, and what we need to take home from it. He does tell us what he eats, but does nowhere suggest what we should eat. Please do some homework before you make such statements! I gave up carbs several months ago after reading Escape the Diet Trap and am constantly being criticised by people who say it is bonkers, a fad diet, etc. I don’t eat potato, bread, pasta, rice etc. (I don’t need them) but do eat plenty of protein, vegetables, eggs and moderate amounts of cheese and butter. I feel great. I very rarely crave sweets or snacks but I do indulge in the occasional treat totally guilt-free and find that I don’t particularly enjoy it anymore. I try to understand the science and I try to explain it to others but they regularly dismiss me and sneer at my efforts to convince them that this way of eating is preferable to eating all the ‘low-fat’ processed rubbish. I haven’t had my bloods done recently so I as far as cholesterol, insulin levels are concerned I have no idea but I have lost weight, I feel great, I don’t have any bloating or feelings of sluggishness and I can still go out for a little jog when I fancy! I feel great! I’ve come across Taubes, but not read any of his books. I’ll be sure to have a look at this link. Since I came across John while listening to R4 Woman’s Hour earlier in the year, I moved on to a low carb diet, but had to move back again a little way after experiencing severe hypoglycaemia. I’m now taking niacinamide and chromium for a period of two months, on the advice of Dr Sarah Myhill; people with severe, long-standing ME/CFS quite often have difficulty making the transition to this diet. Still, I eat far less in the way of carbs than I did a few months ago. I have actually GAINED weight though! Okay, I’m changing the way I eat for health reasons, but I do need to shed about three stone. This aspect has been very disappointing. And you don’t want to hear about the constipation…..! Woodey, you clearly have never read any of Gary’s books. They figurative *drown* you in centuries of peer-reviewed research. He clearly reveals that, sans the careful selection bias that usually filters which papers you get to see, the story of nutrition and its relation to endocrinology has been told coherently for decades. I strongly recommend you read “Good Calories, Bad Calories” (or “The Diet Delusion” as it is called in the UK), or his later, more compact “Why We Get Fat” book. 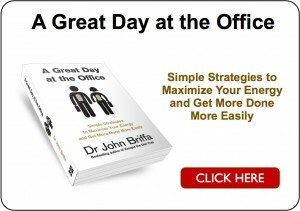 You will not be disappointed in the depth of peer-reviewed research he reveals (rather than undertakes). To Helen – some of the reasons for not losing weight and being constipated could be – eating too much protein and not enough fat and also not drinking enough water. I find that I can easily over eat things such as beef, pork and chicken so I need to limit my portions of theses foods. Making sure you eat plenty of green vegetables such as broccoli, cabbage, lettuce, cucumber, celerey etc also prevents constipation – these are the healthy carbs. Add butter to your greens to boost your fat intake too. I hope that you will be able to loose some weight and overcome some of the problems you have been having. @Diane – I’ve been taking the precautions you mention. Weirdly, I don’t think I’ve got my protein intake high enough yet in relation to the fat content of my diet – I’ve stuck mainly to fish and poultry so far. Coconut oil is one measure I’m trying, along with magnesium supplements. I’m giving the diet another 2-3 months though. I’ve found from my experience of rebalancing thyroid and adrenal hormone levels after twenty years of poorly managed NHS care that I improve very slowly. So slowly, I appear to go into reverse for a while! Hopefully, that’s all that’s happening now. I read in The Huffington Post yesterday that Hungary has put in place new rules to reduce the 30 million forint (£82 million ) annual cost of treating people with diabetes. PwD will get three monthly HbA1c tests and if their BG is “above average” then they won’t get analog insulin, for example. BG is being placed firmly on the individual’s shoulders yet I can only hope that the dietary advice is better than the advice coming out of USA and UK. Somehow I doubt it will be.